Axolotl Solid is a new extension of the Axolotl offer. Sheet metals are now able to be patinated in a variety of different colours, from verdi gris, florentine and pearl. Axolotl Solid metals, such as copper, brass, aluminium, mild steel and stainless steel are available in a variety of thicknesses and can be used where sheet metal is required in lieu of our decorative metal coatings. This range offers architects and designers the ability to specify pre-aged panels on a new build or renovation, avoiding bright and inconsistent 'fresh' metal, while ensuring the characteristics of the solid metal are retained. 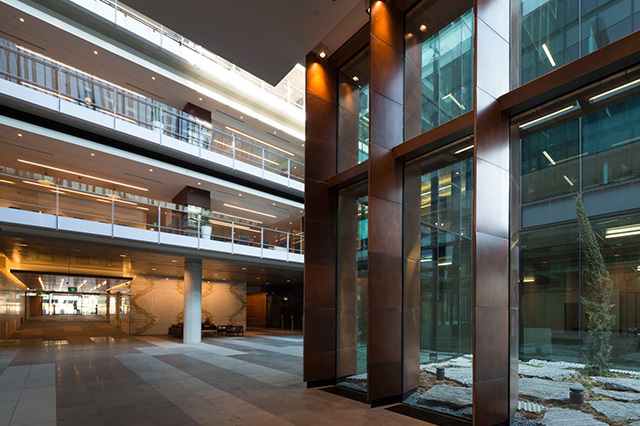 The recently completed, Fender Katsalidis designed 4NC building in Canberra (pictured here), was a great opportunity to launch Axolotl's latest benchmark in aged metals. 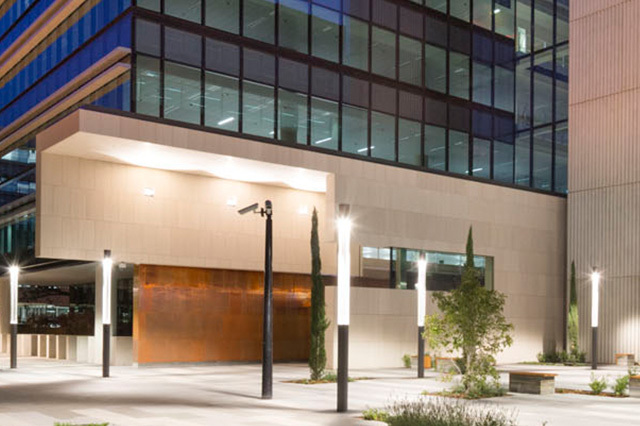 Axolotl was sought out to provide an aged finish on copper sheeting that was applied to the 8 metre high blades, which became the feature piece in the centre of the building. The copper theme was carried throughout the building, also being applied to several walls and ceilings. 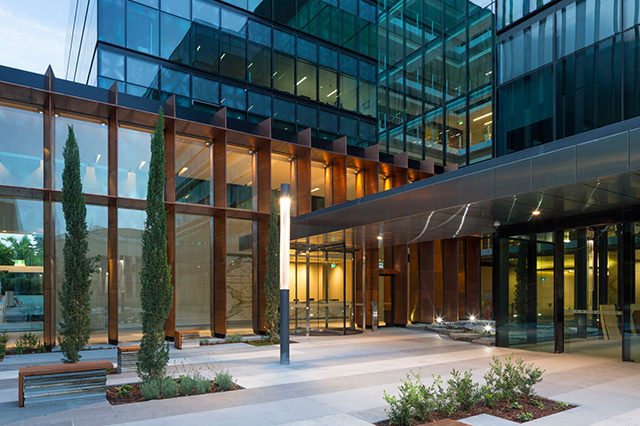 Axolotl worked alongside Lend Lease, CBS and Micos in creating a lasting impression on the Canberra landscape. The pre-aged copper finish works so well as it gives an established patina to new projects. The organic nature of the ageing process enables an intended inconsistency in the panels, just as the material would do naturally if left for several years. It also works well in high traffic areas as it prevents marks such as fingerprints and offers the ability to topcoat the copper for further protection. A full set of samples will be shown in our next e-card, alongside our other exciting developments in glass, concrete, metal and timber. Link. Published on July 04, 2013 by axolotlblog. 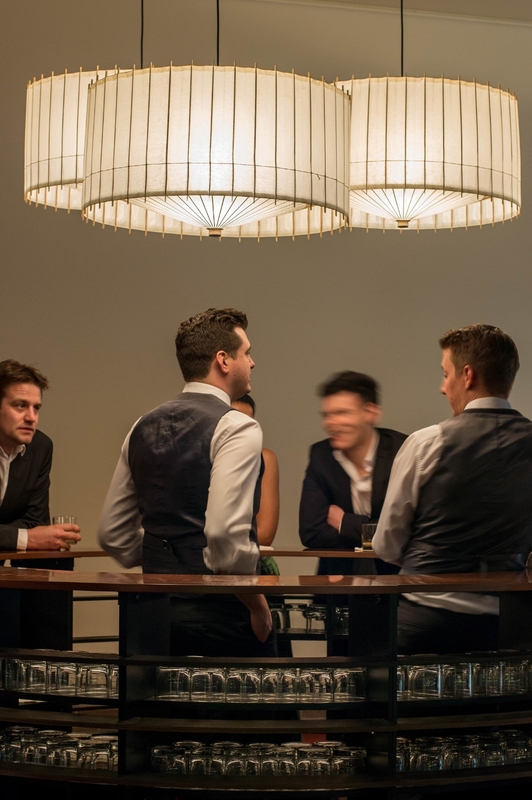 After a short break we are back to work refreshed and ready to tackle all of your exciting new projects. By the end of 2012 we were able to look back on a broad range of creative projects, from multi-story corporate fit outs to hand crafted sculptures. One of the later projects was this custom feature wall for the Ministry of Sound Headquarters in Sydney’s Darlinghurst. Andrew Cliffe from The World is Round adopted our popular Doric entry door, to be used as a concrete feature wall at the reception. The surface creates a beautiful shadow play as the varied light in the room plays with the corrugated surface. A different, but also unique project, was the featured custom glass privacy screen for a clients guest ensuite. The Axolotl design team worked very closely with the client to achieve something new for the company and offer the client their perfect fade position from translucent to clear. The finished result enables the client to enjoy an outside view while showering, yet retaining privacy. Link. Published on January 22, 2013 by axolotlblog. Link. Published on March 15, 2012 by axolotlblog. Axolotl projects: LINK entry facade, Delhi. From a recent collaboration between Axolotl and Michael McCann from Dreamtime Australia Design comes this stunning entry door and facade for Aman Hotel in New Delhi, India. Utilising the award winning Axolotl LINK, the pattern spans 4 separate panels at the full height of the entrance, bringing an air of grandeur that befits the calibre of the Aman brand. LINK is a totally unique process where iron is inlaid into glass and rusted to create virtually any design at all. McCann explained to Axolotl that when designing he set out to blend the modern and contemporary with the cultural traditions of the area. The result is a pattern inspired by local textiles and mosaics found in New Delhi. The final result is a great example of the international capabilities of Axolotl and proves good design combined with bespoke materials is unrestricted by time or distance. Link. Published on February 28, 2012 by axolotlblog.